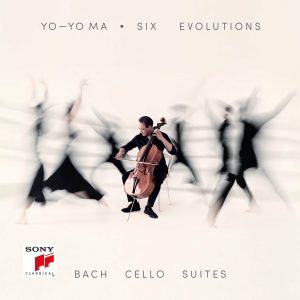 Sony Classical is proud to announce the release of Yo-Yo Ma’s new album Six Evolutions – Bach Cello Suites, his third and final recording of these works. Bach and his Cellos Suites entered Yo-Yo Ma’s life when he was four, when he learned the first measure of the Prélude to Suite No. 1 under his father’s instruction. Ma has never lost his initial fascination.